The latest generation of the Honda Odyssey was unveiled earlier in January at the North American International Auto Show in Detroit. Offering new and innovative technologies, the new 2018 Honda Odyssey is definitely the perfect minivan to meet all of your family’s travel needs. 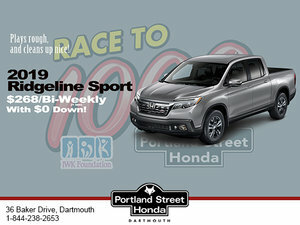 The new Odyssey will arrive at Portland Street Honda in the spring. The Honda Odyssey will offer truly exclusive technologies when it enters the market in a few months. 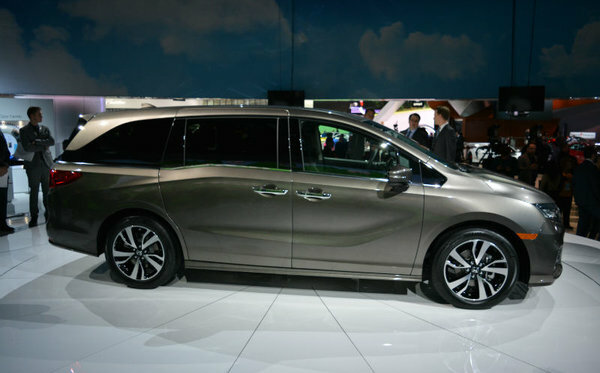 Developed according to the Honda’s "family connectivity" concept, the new Odyssey will offer features that facilitate conversations between passengers while ensuring seamless connectivity during family travel. The new CabinWatch system allows the driver and passenger to keep an eye on the second and third rows with a camera while the CabinTalk feature allows the driver to chat with passengers in the second and third rows without having to raise their voice using the speakers or the entertainment system’s headphones. Moreover, the entertainment system has received several improvements. You can now stream video on the system’s 10.2-inch screen, and LTE Wi-Fi connectivity is now integrated into the system. It is also possible to connect to a public Wi-Fi access, or use your own phone’s data plan. In addition, a new technology called "How Much Farther?” informs the rear passengers about the family trip’s progress. The Social Play List feature allows all passengers to download music from their mobile device to the 2018 Odyssey audio system so that everyone can enjoy it during your next road trip. In addition to offering new technologies and exclusive features, the new 2018 Honda Odyssey also offers improved comfort thanks in part to more soundproofing. When it comes to versatility, Honda knows that a minivan has to offer a lot of interior space and a lot of storage space. That’s why the 2018 Honda Odyssey offers a brand new Magic Slide system integrated in the middle row which, thanks to four modes, makes it possible to increase overall storage capacity, facilitate access to the third row seat, improve passenger comfort and raise overall versatility. Under the hood, the Honda Odyssey is equipped with a 3.5-liter V6 engine that now develops 280 horsepower, 32 more than the outgoing Odyssey. A nine-speed automatic transmission will be offered on most versions while the Touring models are fitted with a new 10-speed automatic transmission. The 2018 Honda Odyssey will be equipped with the latest Honda Sensing safety technologies including intelligent cruise control, blind spot monitoring, lane departure warning and prevention, and automatic braking, among other features. To learn more about the new 2018 Honda Odyssey, contact us today at Portland Street Honda!